I can't remember exactly when I discovered Zen Pencils but when I did I was hooked. I like how Gavin has packaged the inspirational quotes from famous and iconic people into comics to make them more accessible to all readers. The art is great and the quotes and stories are inspiring. It's a wonderful combination. This has been the recipe for success for Zen Pencils. One thing you need to know is all the comics in this book are available on the Zen Pencils website. I'm buying this book to show my support for an artist who dares to pursue his dreams to make cartooning full-time, and to do so independently. There's a comic story that Gavin drew about his own life but that particular one is not in this book. 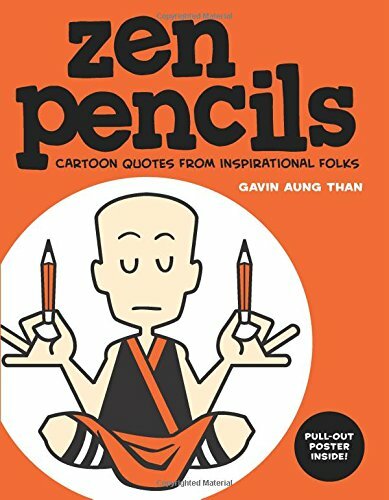 Zen Pencils is popular enough so a second volume will not be surprising and is expected.